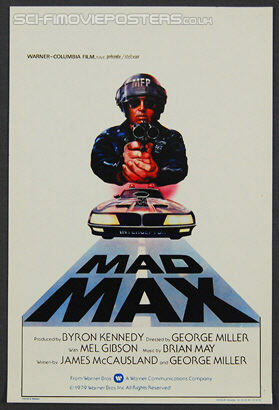 Mad Max (1979). Original Belgian Movie Poster. 365mm x 550mm Single sided. 1979. Excellent 8.0 Rolled. 8 pin holes + folded corner.